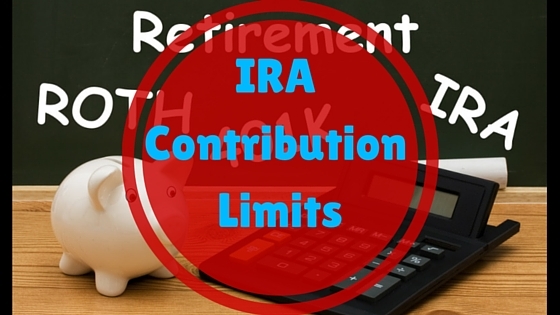 Below you will find the IRA Contribution Limits for 2017, 2016, and 2015. Unfortunately, there were no adjustments made to the 2016 contribution limits of IRAs – both Roth and Traditional. Therefore, Roth IRA contribution limits and Traditional IRA contribution limits will remain the same as this year. For those of you who will be under 50 years of age at the end of the year, the total of your Roth IRA Contribution Limit and your Traditional IRA Contribution Limit is $5,500. However, if your total taxable compensation for the year is less than $5,500, then your IRA contribution limit is equal to the amount of your taxable compensation for 2017. The maximum deductible contribution to a traditional IRA and the maximum contribution to a Roth IRA may be reduced depending on your modified adjusted gross income. As with the 401k, if you are 50 years of age or older before the end of 2017, then you will be allowed to make a “catch-up” contribution in the amount of $1,000. This will bring your IRA contribution limit to the lesser of $6,500 or the total of your taxable compensation for 2017. 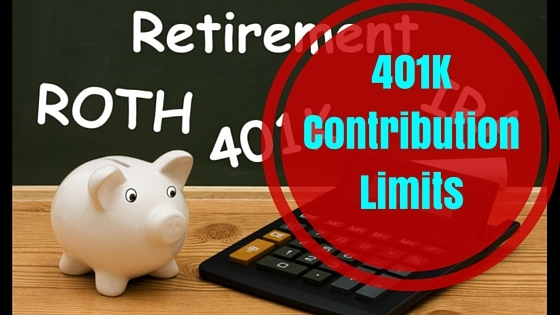 This limit can be split between a Traditional IRA and a Roth IRA but the combined limit is $6,500. For those of you who would rather contribute to an IRA over a 401k because of the added flexibility, please keep in mind that you should still contribute an amount to your 401k that will allow you to take advantage of the full 401k employer match. If not, then you are essentially throwing away free money! Be sure to refer to these charts from the IRS (linked above) for those who are covered and those who are not covered by a retirement plan at work. Also, see how your Modified AGI affects the amount of Roth IRA Contributions that you can make for 2017. Below you will find the 401k Contribution Limits for employees, employers, and also for participants who will be at least 50 years old by the end of the calendar year. You should also consult the IRA contribution limits before completing your retirement plan. As you can see, there was no cost of living adjustment from 2015, meaning that the 401k contribution limit for 2016 has stayed the same since last year. As in previous years, plan participants who will be 50 years of age by the end of the year will be able to make a “catch-up” contribution. The catch-up contribution is an additional amount that those close to retirement are allowed to make. As you can see, the catch-up contribution limit will continue to be $6,000 for calendar year 2016. Also note that the employer 401k contribution limit remains at 6% of the employee’s pre-tax salary. What this means is that an employee that has a gross salary of $100,000 will be able to contribute up to $18,000 during the year. If they will be at least 50 years old by the end of the year, they will be eligible to make a catch-up contribution up to $6,000; bringing their total annual contribution to $24,000. If they contribute enough to gain their full 401k employer match, then their employer will kick in an additional $6,000 toward the employee’s retirement. This means that the employee in our example will put away $30,000 this year for retirement! I’ve talked before about contributing enough to qualify for your full 401k employer match, so be sure to read that article to see why it is so vital to your financial health. Basically, I show how you can earn a return of 167% on your 401k before you begin investing! With this type of return, and the generous amounts that we are allowed to set aside, contributing to a 401k should be at the top of your list of New Year Resolutions!